The LVTP7, which entered the Marine Corps inventory in the early 1970s, was a quantum improvement over the short-ranged LVTP5 of the Vietnam era. 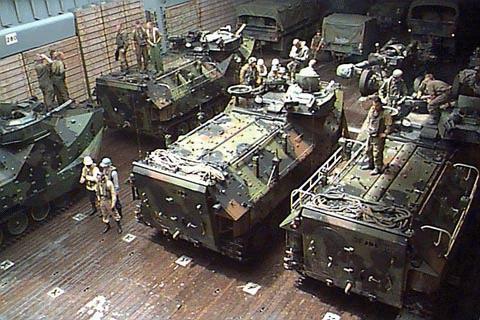 Weighing in at 26 tons (23,991 kg) combat-loaded, and with a three-man crew, it can carry 25 Marines. With a road speed of 45 mph (72 km/h), it is also fully amphibious with water speeds up to 8 mph (13 km/h). It is not as heavily armed or armored as the Army's Bradley infantry fighting vehicle; on the other hand, the M2A1 Bradley carries only seven troop passengers. 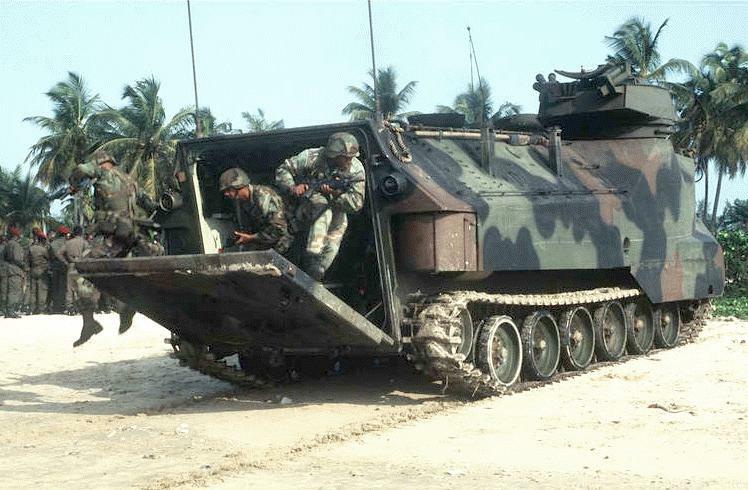 In 1985 the Marine Corps changed the designation of the LVTP7Al to AAV7Al -- amphibious assault vehicle -- representing a shift in emphasis away from the long-time LVT designation, meaning "landing vehicle, tracked." Without a change of a bolt or plate, the AAV7Al was to be more of an armored personnel carrier and less of a landing vehicle. 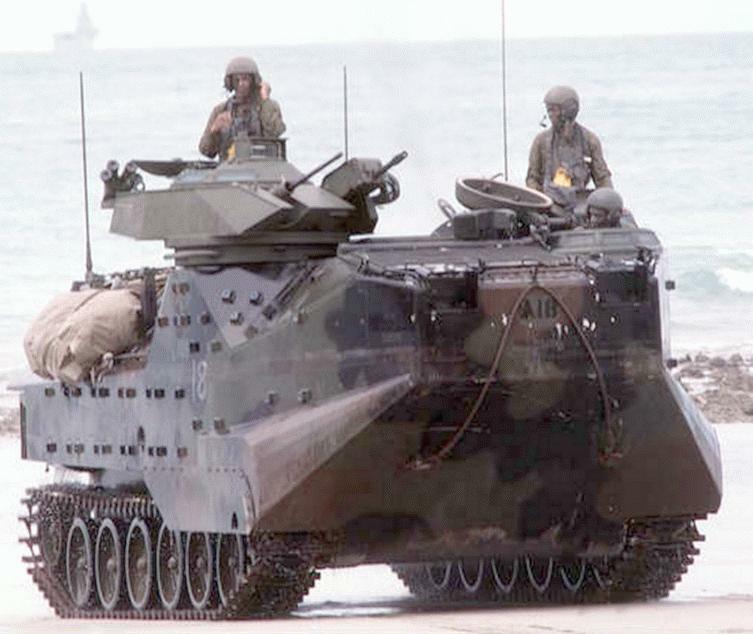 The AAVP7A1 is an armored assault amphibious full-tracked landing vehicle. The vehicle carries troops in water operations from ship to shore, through rough water and surf zone. It also carries troops to inland objectives after ashore. The amphibious capability of the AAV makes it unique among all DOD systems. This forcible entry amphibious capability is the unique capability that sets the Marine Corps apart from the other services. A portion [64%] of the AAV fleet will undergo a reliability, availability, and maintainability (RAM) upgrade, and a rebuild to standard (RS) retrofit, to ensure Marine AAVs remain maintainable until the arrival of the Advanced Amphibious Assault Vehicle (AAAV). 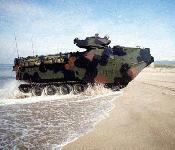 The primary responsibility of the AAVs during an amphibious operation is to spearhead a beach assault. They disembark from ship and come ashore, carrying infantry and supplies to the area to provide a forced entry into the amphibious assault area for the surface assault element. Once the AAVs have landed, they can take on several different tasks: manning check points, Military Operations in Urban Terrain (MOUT) missions, escorting food convoys or mechanized patrol. 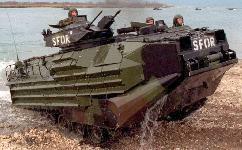 The standard AAV comes equipped with a MK-19 grenade launcher and a M2 .50 caliber machine gun. With a 10,000 pound capacity, the AAV can also be used as a bulk refueler or a field expedient ambulance. It is easily the most versatile vehicle in the Marine Corps. 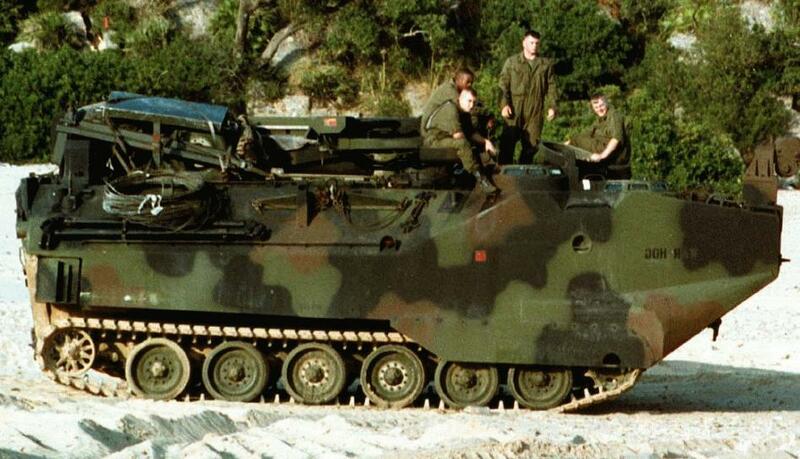 The AAV was originally designed and built in the late 1960s and early 1970s. Replacement vehicle designs in the early 1980s were canceled and a Service Life Extension Program (SLEP) was initiated. This SLEP was completed in 1986. 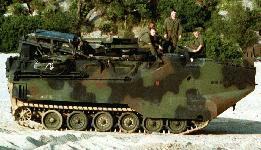 The SLEP extended the projected life of the AAV until the mid 1990s when a new amphibious assault vehicle was expected to be fielded. A Product improvement Program (PIP) in the late 1980s and early 1990s resulted in a significant increase in the weight of the AAV. This weight growth was not matched with an increase in power or suspension components. The increased weight has strained the ability of the suspension to provide a smooth and safe ride for embarked personnel while decreasing overall ground clearance from 16 inches to less than 12 inches. The result has been an increased maintenance requirement on the power plant, suspension, and electrical systems. Additionally, a larger than expected corrosion control maintenance program has been required. 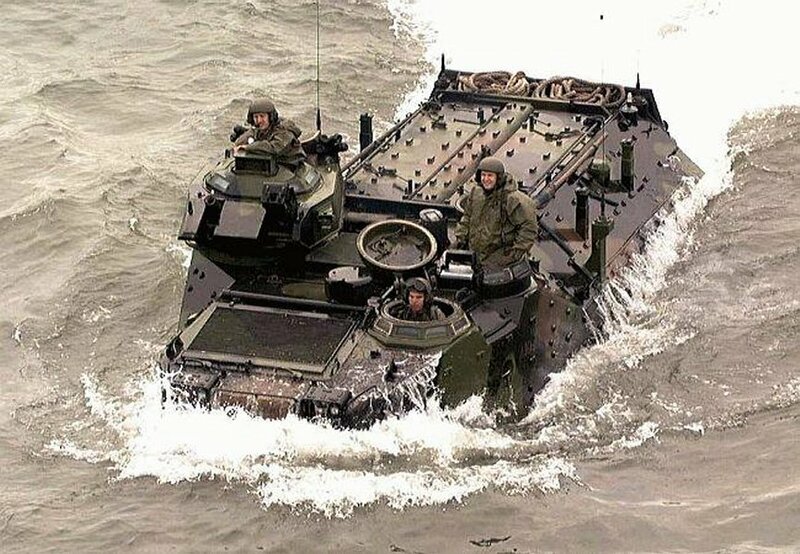 The new Advanced Assault Amphibious Vehicle (AAAV) is in the program definition and risk reduction phase of the acquisition process. The earliest production schedule for the AAAV projects an Initial Operating Capability (IOC) in 2006 and Full Operating Capability (FOC) by 2012. The AAAV fielding schedule requires the expected life of the SLEP AAV to be more than double what was planned. The projected fielding schedule of the AAAV means the AAV will be in service for another 15 years. Many systems on the AAV are reaching the end of their useful life and will require replacement. , Marine Corps System Command determined that instead of Inspect or Repair Only as Necessary (IROAN), the next cycle of AAV depot maintenance action would more appropriately be a Rebuild to Standard. The Assault Amphibious Vehicle Reliability, Availability, Maintainability/Rebuild to Standard (AAV RAM/RS) Program provides for a replacement of both the engine and suspension with US Army M2--Bradley Fighting Vehicle (BFV) components modified for the AAV. The ground clearance will return to 16 inches and the horsepower to ton ratio will change from 13 to 1 back to 17 to 1. AAV RAM/RS plans for the rebuild of all AAV systems and components in order to return the AAV back to the original vehicle's performance specifications and ensure acceptable Fleet Marine Force (FMF) AAV readiness ratings until the AAAV is at FOC. 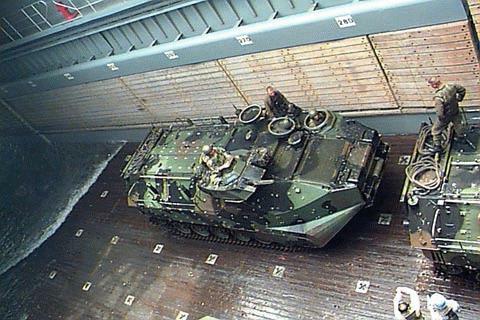 Introduction of the BFV components and the rebuild to standard effort is expected to reduce maintenance costs for the remaining life of the AAV through the year 2013. The projected savings are in the range of $400 to $500 million dollars (FY95 dollars). This program, with rebuild effort directed to the Marine Corps Maintenance Centers at Albany, GA and Barstow, CA, was approved in June 1997 as a new start acquisition program beginning in October 1998, with a maximum four year production duration. The AAV RAM/RS program was approved as an FY99 new start acquisition in June 1997, and successfully achieved Milestone II in December 1997, Milestone III in October 1998, and commenced production in November 1998. Consolidation of diverse functions and responsibilities within the government team, establishment of a long term contractual relationship with industry to provide technical, engineering and management support for the remaining service life of the AAV, and extensive use of multiple command Integrated Product Teams (IPTs) with industry participation led to early development of quality products and an accelerated schedule. 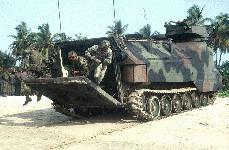 The AAV RAM/RS Team implemented a number of innovative acquisition approaches and processes to centralize management of an upgrade program to be performed through U.S. Marine Corps depots and industry facilities, to increase the quality, efficiency, responsiveness and timeliness of the acquisition process, and to reduce Total Ownership Cost (TOC) by over $550 million. The AAV program organizational responsibilities and authorities had been dispersed over the previous four years and emphasis on this soon-to-be-replaced system was more on maintenance than upgrade and acquisition. The AAV RAM/RS Team composed of responsible elements of the Marine Corps Systems Command (SysCom) in Quantico, VA, and Camp Pendleton, CA, and the Marine Corps Logistics Bases (LogBases), Albany, GA, rectified this dispersion by providing a unified management approach for this complicated and aggressive program. 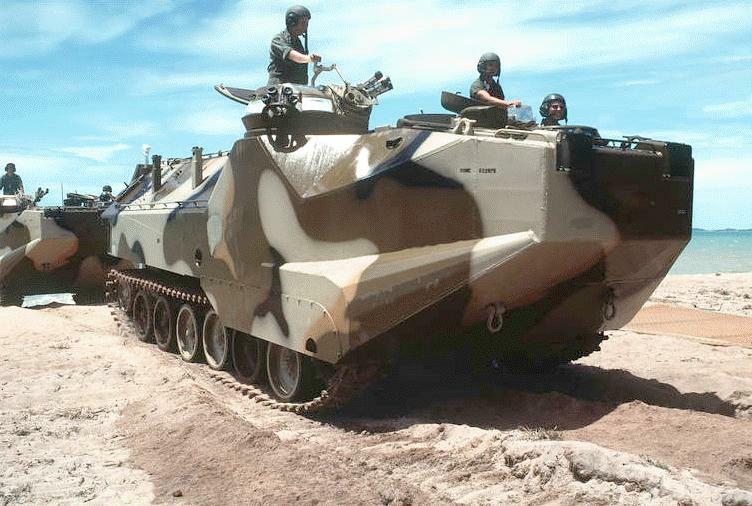 The AAV program has been in existence since the late 1960s and has seen a number of different contractors supporting the various upgrades to the vehicle. The AAV will, however, be fully replaced by the Advance Amphibious Assault Vehicle (AAAV) within a 15 year period and the AAV RAM/RS program, which maintains the AAV in a cost effective and affordable manner until this replacement, is only a four year program. Therefore, the AAV facts of life would not typically interest the type of contractors necessary to appropriately support the AAV. In order to interest industry in supporting this important combat vehicle for its remaining life, the AAV RAM/RS Team offered industry the opportunity to compete for a contract that would select an offeror who would initially perform the hull modifications and parts buy on the AAV RAM/RS program and also provide long term Technical, Engineering and Management Support (TEAMS) and Foreign Military Sales (FMS) support. 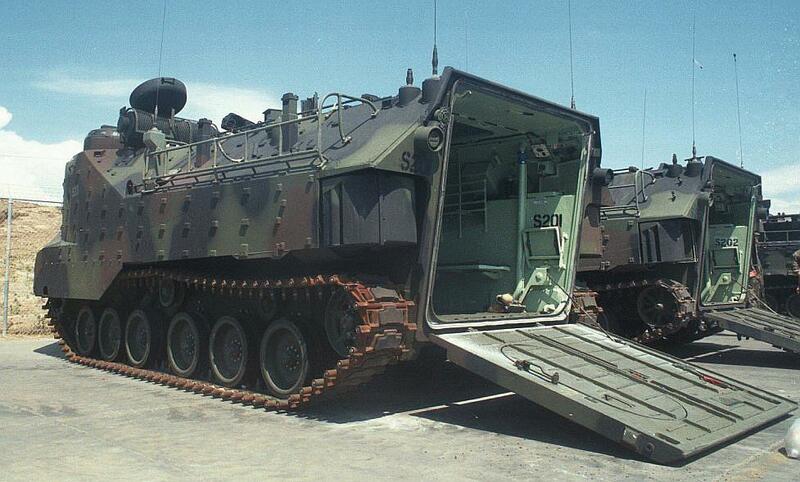 This innovative concept resulted in the original manufacturer, United Defense (formerly FMC) returning as an integral member of the AAV government/industry team. Additionally, industry was offered and has accepted location of its manufacturing facilities within the LogBases with potential use of its work force on agreed upon FMS efforts. This arrangement allows stabilization of the government's expert work force through industry business innovations to the government production line, and the availability of a dedicated industrial partner for the service life of the AAV. The AAV7A1 is the newest Assault Amphibian in a series that started with the Roebling ALLIGATOR. The Alligator was developed over a period of 7 years, starting in 1932. The first "Gators" were a disappointment, in that the water speed was only 2.5 mph. The land speed was 25 mph. Through design changes, and by using larger engines, the water speed of the Alligator was increased to 8.6 mph by 1939. In 1940, Roebling built a new model which was designated the CROCODILE. The Crocodile had a land speed of 25 mph and a water speed of 9.4 mph. 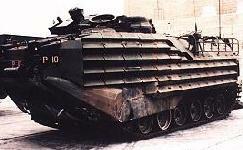 The LVT-1 was a direct copy of the Crocodile, except that it was fabricated from sheet steel instead of aluminum. The LVT-1 was in production from 1941 to 1943. Being heavier, the land speed of the LVT-1 was 18 mph and the water speed was 7 mph. A 6-cylinder, 146 hp Hercules engine was used for power. The LVT-1 was propelled by two endless chains fitted with cleats, both in the water and on land. The first LVT-1's were used as logistic support vehicles only. They were not armored and carried no armament, however, this soon changed. At the Battle of Tarawa, bolted on armor plate was used and the vehicles were equipped with one to four 30 cal. machine guns. The second generation of LVT's was the LVT-2. This vehicle was developed in 1941 and was in production from 1942 to 1945. The LVT-2 was the basic design for a series of vehicles used during WW II. This family of vehicles included the: LVTA1, LVTA2, LVT4, LVTA4, and LVTA5. A few of the LVTA5s were modified in 1949 and continued in service until the mid 1950s. These vehicles were powered with 7-cylinder radial aircraft engines built by Continental Motors. These engines developed 220hp, their service life was very short. Major overhaul was scheduled for 100 hours, however few ever lasted that long. The transmission was a 5 speed, manual shift SPICER that incorporated a manually operated steer differential. This transmission had been developed for the M-3 light tank. As a result, the transmission was too narrow for the LVT. This problem was overcome by using four final drives. The internal finals were bolted to the transmission / differential gear case and supported by two mounting yokes. The external final drives were bolted to the hull and powered the drive sprockets. This generation of LVTs was used through the Okinawa campaign in 1945. The RAM/RS program continues history of successful Marine Corps systems When FMC management realized in 1940 that U.S. involvement in World War II was inevitable, they had a decision to make. Because they wouldn�t be able to continue making peace-time goods, they would either be forced to close plants, or become involved in producing a war-time product. The decision to manufacture a war-time product led to the company�s first attempt at producing amphibious vehicles. REFURBISHED AMTRACK MAKES DEBUT AT AAS BATTALION Marine Corps News 07/17/99 -- The first of 680 refurbished amtraks, which will be distributed throughout the Marine Corps, was presented to Assault Amphibian School Battalion Friday at Camp Del Mar. 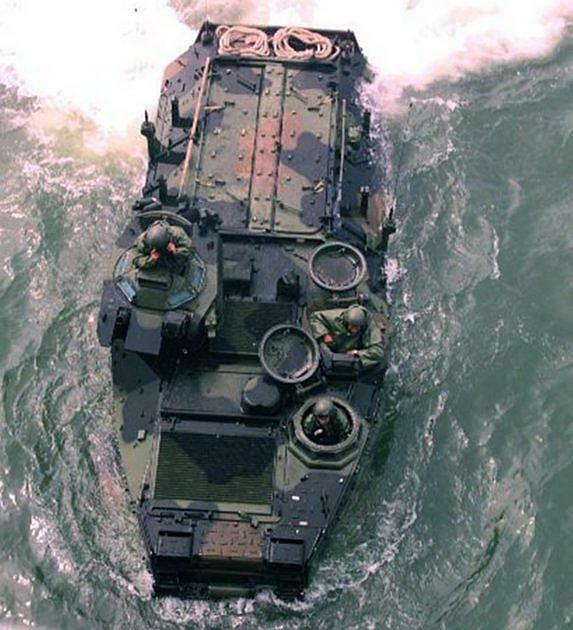 The Assault Amphibious Vehicle P7-A1 is a modified version of the AAV7 family of vehicles. RETOOLED AAVS FILTERING IN Marine Corps News 11/21/99 -- Reliability Availability Maintainability/Rebuild to Standard, will cost about $6 million to complete. It will improve and maintain the current fleet of Amphibious Assault Vehicles until the new Advanced AAVs arrive around 2012. I Marine Expeditionary Force currently has 30 of the improved RAMRS vehicles and will receive another 193 by December 2002. The Marine Corps will maintain a total of 680 by that time.